Are you moving your home to another part of the city or out of state? Do you struggle with moving heavy furniture and your piano? With our moving professionals, you can forget about the moving troubles. Evolution Moving company Fort Worth offers a variety of moving services, including safe transportation of small and grand pianos. Take a look at what our piano movers Fort Worth can do for you. Moving a musical instrument is not an easy job to do, especially if you don’t have the right equipment. Whether it’s a long distance move or a local one, a piano is very delicate to transport. This is why our piano movers Fort Worth can help you relocate your instrument from point A to point B. With Evolution Moving Company Fort Worth, you don’t have to worry about your piano getting damaged or broken. By hiring our piano moving services, you can be sure that your instrument will be safe and properly secured. With our skilled piano movers Fort Worth, you can let us handle any sort of a piano from one location to another. Moving a piano, whether it’s an upright or a grand, takes special planning. Not only do you need to secure the instrument for transportation but also to keep it safe when loading and unloading. Luckily, our piano movers Fort Worth have the right equipment to move your instrument successfully. With our skilled movers, you can let us handle any sort of a piano from one location to another. How to prepare your instrument for moving? Before calling our piano movers Fort Worth, there are ways you can prepare your instrument for transportation. What you can do is to clean the instrument from the dust and make sure there are no loose parts. If some pieces of your piano can be disassembled, you can do that too. In case you don’t have time or skills to disassemble your piano, you can leave it to our moving professionals. 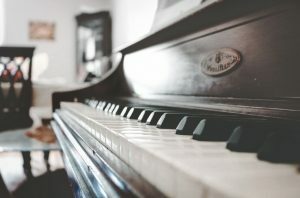 After preparing the instrument, you should put away bigger pieces of furniture that might stand in the way of moving a piano. Heavy furniture and other obstacles in the room can be challenging to pass by. When moving a piano, our movers always make sure to clear out the path from the room to the moving truck. This way we want to make sure nothing can damage your instrument during transportation. In case you have some heavy and bulky items to move besides your piano, we can help you transport it. Our moving services Fort Worth include transportation of various inventory locally or long distance. If you need professional moving assistance to move your office or your home, Evolution Moving Company FW is here to help. 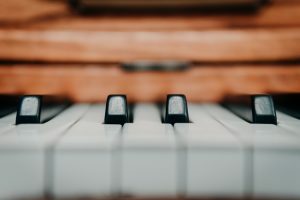 How do our piano moving services work? Moving heavy items takes careful planning and physical strength. While moving a piano, many things can possibly go wrong. Even the smallest damage to the instrument can cause it to lose value. Besides, moving a heavy piano by yourself can cause you to hurt your back. If you want to avoid injuries while moving, you should consider contacting our piano mover Fort Worth. Our team of moving professionals is trained to handle heavy pieces of inventory. 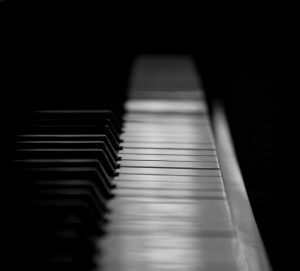 With our piano movers Fort Worth, you don’t have to worry about the damage of your instrument. In order to move heavy musical instruments, our piano movers Fort Worth use special equipment. With the help of shoulder straps and moving dollies, we can easily lift and slide your instrument to the moving truck. When our movers come to your place, they will make sure to calculate every step of the move carefully. Before transporting your piano to the moving truck, we will remove all the obstacles. Also, our piano movers Fort Worth will measure the instrument and all the door frames. When moving a piano, we always make sure that no other objects stand in our way. In case you need help with decluttering your room before the move, we will help you move heavy pieces of furniture. Why should you hire our piano movers Fort Worth? When moving a piano, whether it’s a local or a long distance move, our priority is keeping your instrument safe. With our moving services, you will not have to worry about potential scratches or damages to your instrument. Our moving trucks are fully modified to maintain your piano in a fixed position safely. Our piano movers Fort Worth will make sure to tie down the piano, so it doesn’t move during the transportation. We know that during the relocation, your instrument needs to be safe from any movement, temperature changes, and moisture. In order to keep the value of the instrument and transport it safely, our moving company takes time to plan every step of the move carefully. If you plan to move out of state and also want to move your piano, you can count on Evolution Moving Company FW. Our long distance moving services Fort Worth include safe packing and transportation of your belongings. Whether you need to move your office, your home or an entire company, you can rely on our moving professionals. When moving a piano, whether it’s a local or a long distance move, our priority is keeping your instrument safe. Our piano moving service is reliable. We take the value of your inventory seriously and put the safety of the instrument first. We are here to listen to your needs and fit within your moving budget. Let us help you plan your piano relocation. In case you still haven’t found the right moving company for your move, consider giving us a call. At Evolution Moving Company FW, we value our customers time and money. If you are in need of piano movers Fort Worth, let us know more details of your move. Our moving professionals will make sure to organize and perform your move in the most professional manner.